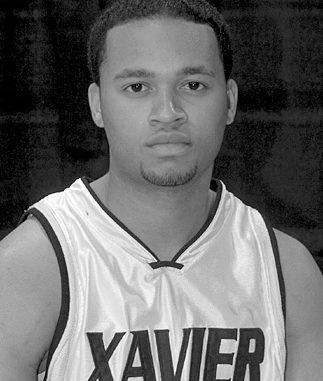 NEW ORLEANS — Guard Mark Stewart of Xavier University of Louisiana is a third-team selection on the 2006-07 All-Louisiana men’s basketball team. 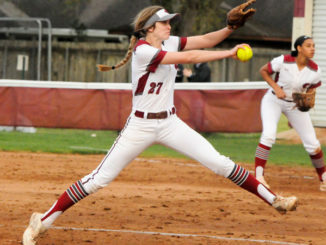 The Louisiana Sports Writers Association chose the team. Stewart, a 6-foot-1 junior from Destrehan and a Destrehan High School graduate, is the first Xavier player to make the men’s team since Merlin Peters in 1990-91. Stewart led the Gold Rush (22-10) with a 16.8 scoring average and set Xavier records for 3-pointers made in a season (109) and career (202). He scored a game-high 19 points, including five 3-pointers, in Xavier’s 82-79 upset March 15 of NAIA No. 3 Georgetown (Ky.) — the Gold Rush’s first victory in the national tournament since 1973. Xavier overcame an 0-4 start in the Gulf Coast Athletic Conference to earn a share of the regular-season championship with Tougaloo. Stewart and backcourt teammate Shaun Dumas were selected to the All-GCAC team. University of New Orleans junior guard Bo McCalebb, who averaged 25 points per game and ranked sixth in NCAA Division I, is the Player of the Year. First Team: Bo McCalebb, New Orleans, 6-0 junior, New Orleans, Glen Davis, LSU, 6-9 junior, Baton Rouge, La., Stefan Blaszczynski, Nicholls State, 6-6 senior, Sydney, Australia, Tasmin Mitchell, LSU, 6-8 sophomore, Denham Springs, La., Trey McDowell, Louisiana Tech, 6-3 senior, Beaumont, Texas. 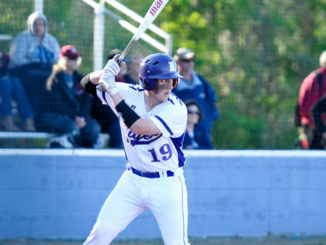 Second Team: Tony Hooper, Louisiana-Monroe, 5-11 sophomore, Houston, Texas, David Gomez, Tulane, 6-8 junior, Baton Rouge, La., Andre Ratliff, Grambling, 5-10 junior, Pontiac, Mich., Daryl Cohen, Southeastern Louisiana, 6-4 senior, Century, Fla., Alexander Starr, Centenary, 6-5 senior, Dallas, Texas. Third Team: Jarvis Bradley, McNeese State, 6-5 junior, Dallas, Texas, Luke Rogers, Northwestern State, 6-1 senior, Chicago, Ill., Josh Johnson, Louisiana College, 6-5 sophomore, Ruston, La., Elijah Millsap, Louisiana-Lafayette, 6-5 freshman, Grambling, La., Mark Stewart, Xavier, 6-1 junior, Destrehan, La. Coach of the Year: Orlando Early, Louisiana-Monroe. Questions? Comments? 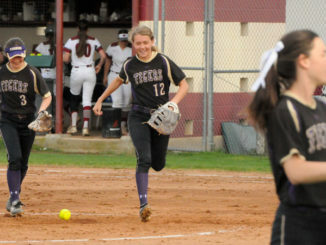 Email Sports Editor Heather R. Breaux at heatherb@heraldguide.com and don’t forget to include your sports news.